It’s not marketing, it’s storytelling. Imagine that worldwide everybody can share their own story and everybody can see it. Well this is todays reality; we now have the ability to spread culture and knowledge through storytelling online. The possibilities are limitless and the outcome could be great. No longer will the education of future generations be constrained by geographic or cultural boundaries, because sharing your story with the world is as easy as typing some words and clicking a button. The beauty is that it is your story. It is something real, something personal and something that is true to you. Storytelling not only allows you to go back and recall past experiences, your narrative shapes and influences the perspective of your readers. 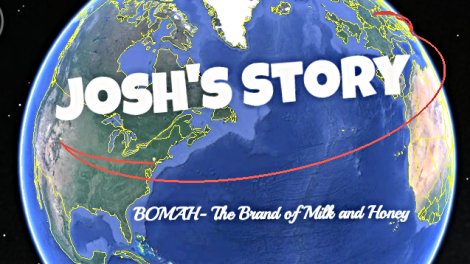 As part of my 5-month internship here in Israel with BOMAH – The Brand of Milk and Honey, I learned how to harness the power of storytelling. BOMAH uses storytelling as a new strategy to positively re-brand Israel online and fight against Boycott, Divest, and Sanctions (BDS) movements on campuses. The best way to fight against negative content being produced in the online world is by sharing things that are positive and personal. I’m talking, of course, about telling your story. There is no one way to share your story. It can be as simple as posting on Facebook or keeping a blog. I decided to tell my story in the form of an interactive program called Tour Builder. Tour Builder uses Google Earth to show people the places you’ve visited and the experiences you had along the way. It allows you to choose locations, add photos, text, and video, and then share your creation. Using this program, I created a representation of my life, my journey in Israel, and the work I’ve done with BOMAH. 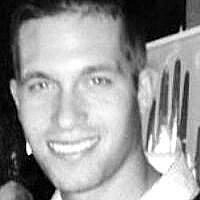 Joshua Donner is from Warren, New Jersey and graduated from the University of Colorado with a BA in Psychology. Josh now lives in Tel Aviv, he is a Masa participant for Career Israel. He is currently intern for BOMAH as the Online Marketing Manager.